One of Malta’s leading boutique accommodations, AX The Saint John in Valletta has recently been awarded the Guest Review Award by booking.com, an international travel fare aggregator website and travel metasearch engine for lodging reservations. This award is given to few in recognition of the hard work, day after day, guest after guest. It shows how much guests, who had the opportunity to stay at the hotel, appreciated the hospitality which was shown to them by the staff of the boutique accommodation. AX The Saint John officially opened in September 2017, as AX Hotels officially opened its first hotel in Valletta and sixth on the island. Since its opening, the 17th century building boutique accommodation has been transformed into a smart space and has been increasingly popular with locals and tourists. “We are honoured and thrilled to receive this award and it surely reflects the hard work which has been performed over the past months by the staff,” said Matthew Gingell Littlejohn, general manager of AX The Saint John. 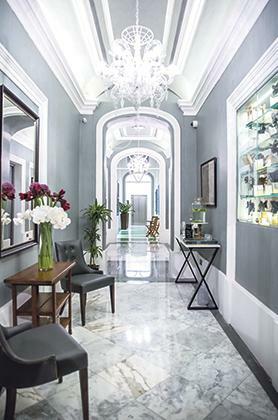 This boutique hotel has been garnering online interest and chatter from international bloggers who are envisaging that AX The Saint John will continue to be Valletta’s most popular stay during 2019.